When going to the store to buy linoleum, many ask Tarkett products from sellers - after all, everyone has heard about its quality. 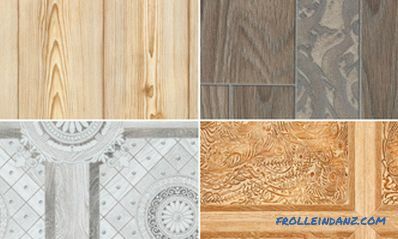 However, seeing how diverse the range of these floor coverings is, you can think about it. After all, they differ not only in design, but also in important technical parameters. This article will help you understand and choose Tarkett linoleum - the technical characteristics of which we describe in detail. This coating is very universal - it is most in demand in the Russian context. Buyers like its modern and stylish look, reliability and practicality. They are especially attracted to colors and textures that artfully imitate natural materials. After all, it is much easier to lay linoleum than to make floors from tile or laminate. And visually it looks almost the same. By the way, laying this floor is not difficult. And special care is not needed, so you can use Tarkett household linoleum in any residential premises. We also note his absolute safety for human health. 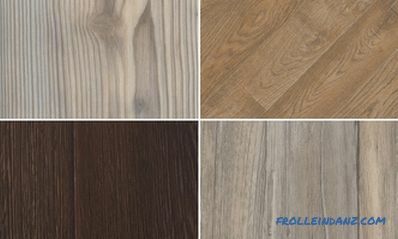 This type of flooring is suitable for rooms where the load on the floor is large. Such a linoleum upper protective polyvinyl chloride film is thicker than that of domestic. And its base is particularly compact. Thanks to all this, the drawing is not erased for a long time, and the floor does not lose its attractive appearance without requiring special care. This type of flooring is a leader in strength. 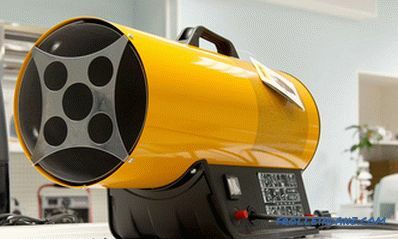 It is suitable for any public space with the highest maneuverability. The word "homogeneous" in the title means that the material is completely homogeneous - from the bottom to the surface. So during the entire service life, you can repeatedly restore the coating, giving it an initial appearance. 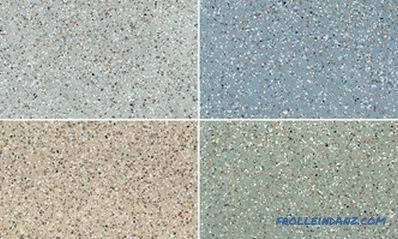 Homogeneous commercial linoleum is ideal for schools, hospitals, clinics. 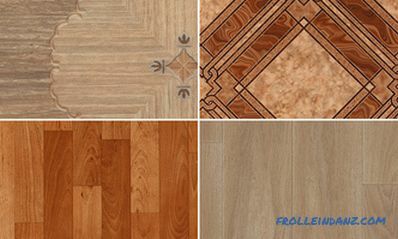 In addition to domestic and commercial linoleum in Russia, there is also semi-commercial. But in fact, in Europe, this type of linoleum is not. The thing is that semi-commercial linoleum is still the same household linoleum, but the technical characteristics of semi-commercial linoleum Tarkett are significantly improved, but slightly inferior to commercial type linoleum. 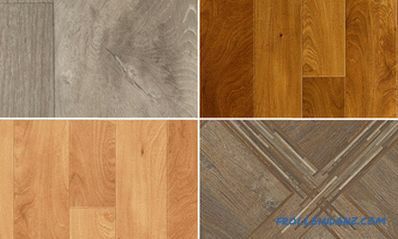 All floor coverings have different resistance to wear, by which they are classified. There are two digits on the label, indicating wear resistance class. The first digit is the type of room (2 - domestic, 3 - office, 4 - production). The second digit (from 1 to 4) is the type of load (from low to very high). Here's an example: 32 grade linoleum is designed for an office space with an average load. To make it easier, the manufacturer on a roll place an icon with houses and people - so completely understandable. This characteristic determines two things. The first is how well the sounds muffle our flooring. 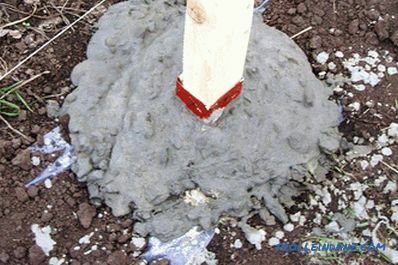 The second is the thermal insulation ability. By the way, thicker linoleum will not only save more heat. On it, thanks to the depreciation and walk more comfortable. If the top film is of type EXTREME PROTECTION, then the strength of the coating increases 7 times (relative to household linoleum). Protection TITAN creates a lacquer layer. 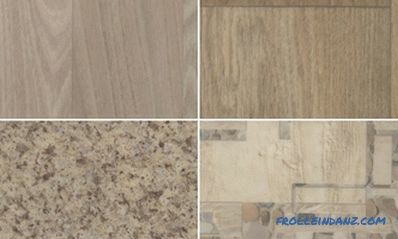 TUREX embossed protective coating is designed to maximize imitation of natural natural coatings (wood, stone, tiled). After weighing a piece of linoleum (or by reading the data on the marking), you can understand how dense and durable it is. This is important - after all, we not only walk on the floor in slippers, but we also put heavy furniture on it, we roll tables and bedside tables equipped with castors.Usually the material weighs from 2 to 5 kg (square meter). These things need to be known before purchasing - having selected the optimal dimensions of the roll, you can get rid of unnecessary connections, as well as cut pieces and waste. Therefore, you should purchase linoleum, knowing the exact size of the room where it will be laid. Rolls are sold in lengths from 20 to 30 m, and their width is more diverse - from 1.5 to 5 m.
According to European standards, the designation E is adopted for water resistance. So , coating type E2 says that cold welding can be used, and type E3 - that hot welding will be needed. This is important - the fact is that not every floor will be suitable for floor heating. Manufacturers took care of this - linoleum, which is suitable for this, has the marking "warm floor" on the label. To prevent the protective film from wiping off prematurely when the computer desk is moved on wheels, choose the appropriate floor covering. It's simple - you need to buy linoleum, which has a wheel pattern on the label. As you can see, the manufacturers took care of the customers here too. This characteristic is determined according to EN 20105-В02. Its level is calculated in points - from 1 to 8. Linoleum usually has 6 points of lightfastness. Group T - PVC 100% - the most durable material with low abrasion. Group P - the average degree of erasure. Group M - high degree of erasure. Group F - a very high degree of erasure. This parameter adjusts the norm of EN 433 - for this, it is pressed onto the die coating for 150 minutes. For linoleum residual strain values ​​≤ 0.17 - ≤ 1.33 mm. This parameter is indicated in%. In accordance with the rules, it should be no more than 0.4%. A manufacturer like Tarkett gives its products a good guarantee. With domestic use it is 15 years. 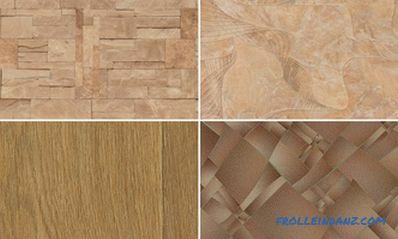 Very dense and durable linoleum, which is distinguished by its diversity and refinement of design. It can perfectly imitate both cold marble and a wooden surface, warm and cozy. There are also abstract colors in soothing tones. 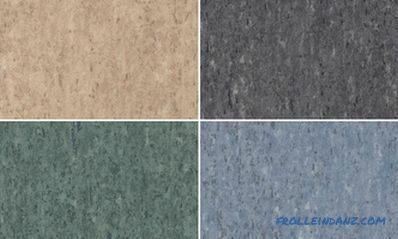 Linoleum from this collection is very popular - it is well suited for the office floor, and for the apartment. This material is distinguished by increased strength - for example, you can safely walk on heels. And sharp metal furniture legs will not damage the floor at all. This linoleum and heat will save, and the noise is well muffled - no need to fear the discontent of neighbors, if that. He also has an additional textile base, thanks to which he is not afraid of temperature changes. So do not be afraid to lay it in a country house. 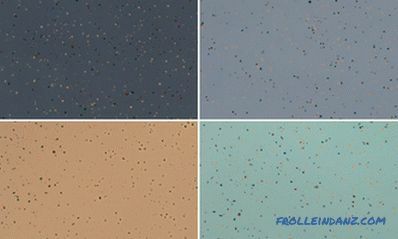 If you like to have fun with friends, throwing noisy parties, if your house is always full of guests, then the linoleum from this collection is very suitable for you. After all, it can withstand great loads. 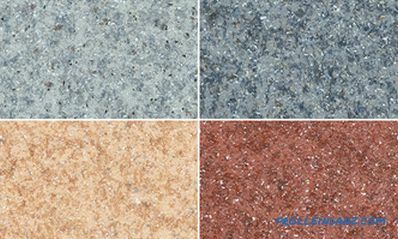 Linoleum with increased wear resistance is suitable for rooms of an apartment or a house with a large cross. And in the office you can lay it where the load has a medium degree. 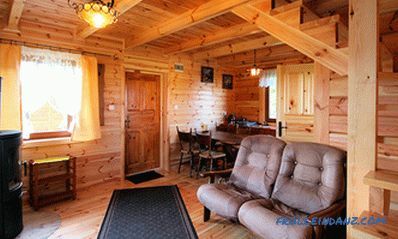 Calm colors "under the tree" or elegant patterns will give the atmosphere coziness and charm. A very attractive price plus excellent quality - this is what this material has worthily passed the test of time. Its volumetric texture with the inclusion of chips and abstract drawings make it possible to make the room original and modern. Thick and dense protective layer will save the floor from scratches and abrasion. And thanks to the large choice of width, this linoleum can be laid practically without waste. Abstraction, “wooden” drawing, decoration under the marble crumb are perfectly combined with office premises. However, in the apartment this floor will be quite appropriate. Especially since it is suitable for the device of warm floors. 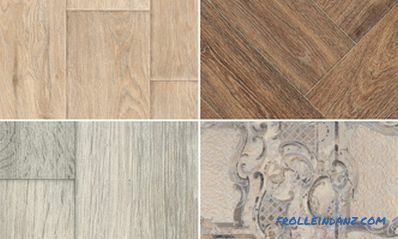 The linoleum from this collection surprises with a variety of not only widths, but also patterns with textures: there is wood, stone, cork, and tile. He, like the previous one, is produced by calender technology, which gives a special strength and density. Such a floor would look great in an apartment or small office, school or kindergarten. This collection is notable for its delightful and varied decors - just do not tear your eyes off. 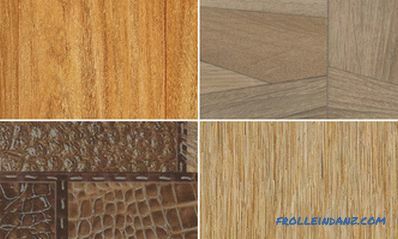 It can be fancy lines, exquisite patterns, as well as classic herringbone parquet or cork. Due to the unique design - relief "living structure" - linoleum and in appearance, and to the touch can not be distinguished from natural material. A solid thickness (4.5 mm) makes it possible to use it in any home environment. This collection brings us closer to nature, with its smiling sky after the rain, the sun's rays on a tree trunk, a basket full of mushrooms, and the nightingale singing on a May night. 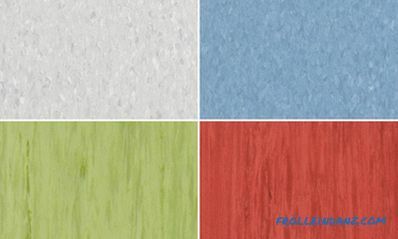 Eco-linoleum perfectly conveys the beauty of natural materials, and it does not harm nature. 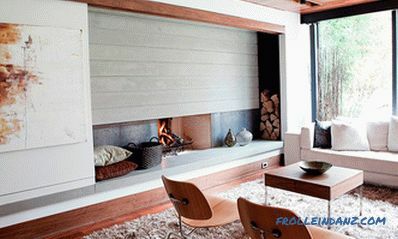 Any corner of the planet can be equipped in your home, making the floor visually stone, wood or even fur. Due to the realistic relief of such a floor is very nice to touch, especially with bare feet. And the EXTREME PROTECTION coating makes it extraordinarily durable. For those who want to create the refined atmosphere of a palace in their home, this collection will be enjoyed. Classic strict and elegant parquet, wooden stained floor or original designer's stroke - all this will plunge you into the world of luxury and magnificence. And if you close your eyes and gently touch the linoleum, you can feel yourself in a different world, fabulous and beautiful. The “living structure” remarkably creates the illusion of natural material, and the durable polyester coating gives linoleum a long life. 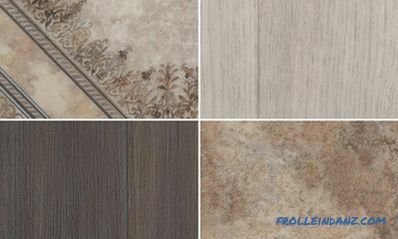 Each of the six colors of this collection looks great - and classical or palace wood, and marble tiles, and imitation of solid wood. Realistic relief perfectly emphasizes the beauty of linoleum. 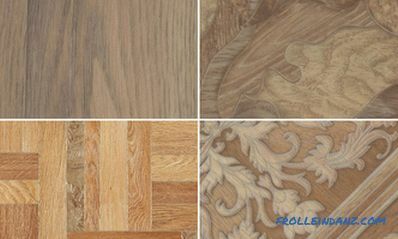 This is truly harmony - a combination of live and warm wood with a variety of patterns and colors. 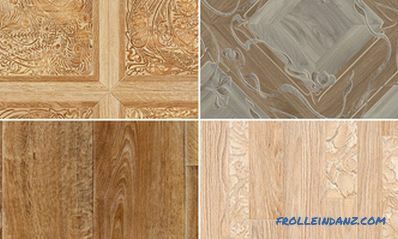 Such linoleum will satisfy the most refined taste, and the “living structure” already familiar to us allows you to magically transfer yourself to the forest thicket filled with the noise of the foliage and the chirping of birds. And the world around will become more calm and harmonious. 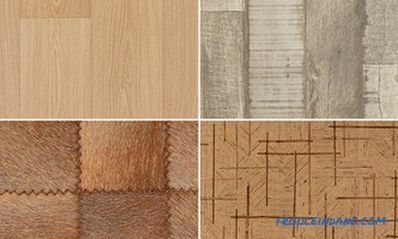 This collection has it all: wood, textile surfaces, and ceramic tiles so pleasant to the touch. The floor looks unusually realistic (thanks to the same “living structure”), but it is also very practical and durable. And once again a luxurious collection with exquisite designs that would be appropriate in the royal chambers. 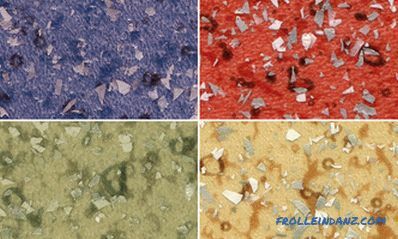 Remarkably conveying texture realistic relief and coating EXTREME PROTECTION make this linoleum suitable for any premises. Avant-garde drawings and fantastic combinations of patterns, glowing sparks and an abundance of textures - all this can not leave indifferent. Linoleum of this collection is really unique in design. This is a classic that always remains relevant. 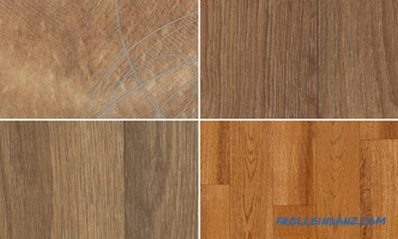 Wooden surfaces or tiles with an ornament - you can choose one of eight colors. This collection is truly innovative. It gives not only a rich palette of colors, but also the shimmering "Majestic" effect, giving the floor some mysteriousness. 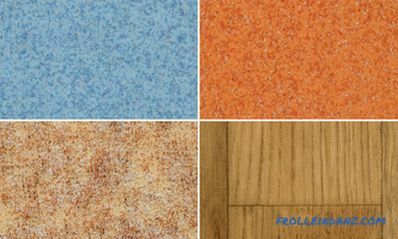 There is in this linoleum and durable coating EXTREME PROTECTION, so it is also very durable. This is one of the main collections, which has a long history. The wonderful design and richness of the color palette made it one of the most popular. In Russia, these collections are the most famous and in demand. It features a nice chip design. Impressive and technical characteristics of commercial linoleum Tarkett this series. 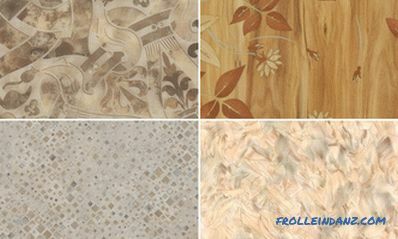 collections Travertine is a type of natural stone. It is what imitates, and very skillfully, the linoleum from this collection. This floor will fit well in any design. 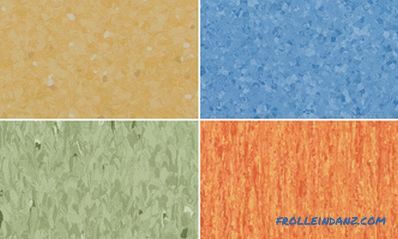 Very practical linoleum, which is very functional and diverse in color and texture. It can be a wooden surface, and abstract drawings. 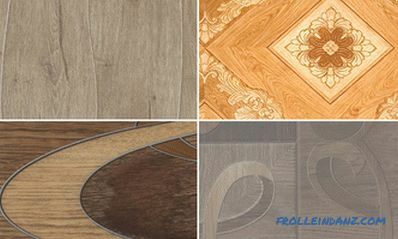 Beautiful design plus modern technological innovations are the linoleum of this collection. Its feature is a durable protective coating with a layer of 1 mm. Abrasion, g / sq. m.
If you want to give the room airiness and lightness, then this collection will suit you. Soft, unobtrusive tones are quite pleasing to the eye. These coatings are of the highest quality, thanks to which the floors can be operated under any load. The series includes eight collections, each of which has a large number of colors. 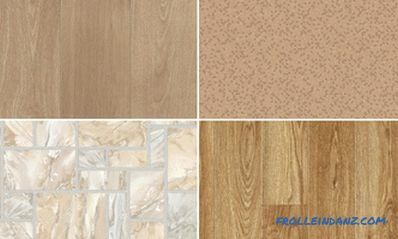 Where it is important to properly connect a reasonable price and excellent quality, this linoleum is a great choice. In the domestic market, it is very popular.